You may already know that PHP allows you to define functions with optional arguments. But there is also a method for allowing completely arbitrary number of function arguments. Many PHP functions have long and descriptive names. However it may be hard to tell what a function named glob() does unless you are already familiar with that term from elsewhere. Think of it like a more capable version of the scandir() function. It can let you search for files by using patterns. By observing the memory usage of your scripts, you may be able optimize your code better. PHP has a garbage collector and a pretty complex memory manager. The amount of memory being used by your script. can go up and down during the execution of a script. To get the current memory usage, we can use the memory_get_usage() function, and to get the highest amount of memory used at any point, we can use the memory_get_peak_usage() function. For this, we are going to utilize the getrusage() function. Keep in mind that this is not available on Windows platforms. To see how much CPU power the script has consumed, we need to look at the ‘user time’ and ‘system time’ values. The seconds and microseconds portions are provided separately by default. You can divide the microseconds value by 1 million, and add it to the seconds value, to get the total seconds as a decimal number. Even though the script took about 3 seconds to run, the CPU usage was very very low. Because during the sleep operation, the script actually does not consume CPU resources. There are many other tasks that may take real time, but may not use CPU time, like waiting for disk operations. So as you see, the CPU usage and the actual length of the runtime are not always the same. That took about 1.4 seconds of CPU time, almost all of which was user time, since there were no system calls. Now we have quite a bit of system time usage. This is because the script calls the microtime() function many times, which performs a request through the operating system to fetch the time. Also you may notice the numbers do not quite add up to 3 seconds. This is because there were probably other processes on the server as well, and the script was not using 100% CPU for the whole duration of the 3 seconds. 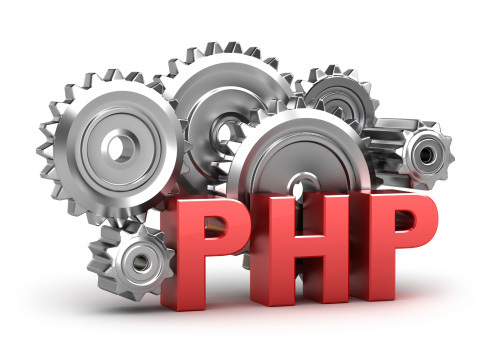 PHP provides useful magic constants for fetching the current line number (__LINE__), file path (__FILE__), directory path (__DIR__), function name (__FUNCTION__), class name (__CLASS__), method name (__METHOD__) and namespace (__NAMESPACE__). We are not going to cover each one of these in this article, but I will show you a few use cases. There is actually a PHP function named uniqid() that is meant to be used for this. You may notice that even though the strings are unique, they seem similar for the first several characters. This is because the generated string is related to the server time. This actually has a nice side effect, as every new generated id comes later in alphabetical order, so they can be sorted. This function will generate shorter strings than md5(), which will also save you some space. Did you ever need to store a complex variable in a database or a text file? You do not have to come up with a fancy solution to convert your arrays or objects into formatted strings, as PHP already has functions for this purpose. When talking about compression, we usually think about files, such as ZIP archives. It is possible to compress long strings in PHP, without involving any archive files. We were able to achive almost 50% size reduction. Also the functions gzencode() and gzdecode() achive similar results, by using a different compression algorithm. There is a function called register_shutdown_function(), which will let you execute some code right before the script finishes running. At first this may seem trivial. You just add the code to the very bottom of the script and it runs before it finishes. However, if you ever call the exit() function, that code will never run. Also, if there is a fatal error, or if the script is terminated by the user (by pressing the Stop button in the browser), again it may not run. Ever wanted to create those text made roses and heart shapes that you see in Facebook and Myspace? You might be wondering how they create such. However there are some websites that does the job, you may still be curios to do it by yourself. They convert your image file in to a text which exactly renders as an image. If you are still unclear what I am talking about then see how this JPEG image is manipulated to text. You might be surprised that this manipulation can be done just by PHP code not more than 30 lines. We’ll do this just by a PHP code. Let me show you how can you use PHP imagecreatefromjpeg() function to manipulate the pixeleted image in ASCII character form. First of all let’s summarize what we’ll do. Now the imagecreatefromjpeg() function manipulates the image details like RGB color coding, white pixels etc. Since our PHP code have the details of the image, we’ll add conditional tag what to do next if the image have been manipulated by the imagecreatefromjpeg() function. In the conditional statement we’ll fetch the RGB value, get the brightness situation and finally put a ASCII character along with the brightness. What our code needs to do is loop through each row in the image, and within each row it needs to also loop through each column. This means we’re accessing each pixel one-by-one, which is what we need. Then, for each pixel in the image, we need to grab the red, green, and blue color values of the pixel, add them all together. By default, we’ll define the ASCII keys as array for the brightness. For example, [@#+*;:, ] we’ve increasing brightness symbol from @ which denotes the extreme dark and a white space at last which denote extreme white. The darker part will be replaced by @ and white part will be replaced by white space, while other characters will denote the level of brightness in eight characters. And finally we’ll print the result. Just copy it to your notepad and save it as image.php. Before saving define the location of picture. You can also create a form to specify the location of the image and input the form value in $locate variable. Posibilities are endless, who knows one can start his own website only with this script. good post . hope more…….